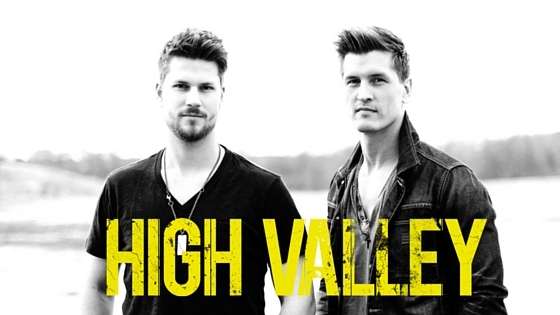 Winner of “Group of the Year” at the 2015 Canadian Country Music Association award show, High Valley are floating on cloud 9! The Rempel brothers recently performed a hometown show for their fans and shared their story with Modern Agriculture Magazine. Brad and Curtis Rempel had big dreams even when they were driving combines and building grain bins out of corrugated steel on their family’s wheat and canola farm in Blumenort Alberta, a northern community near the hamlet of La Crete. They never imagined at the time how far they would have to travel to achieve those dreams. 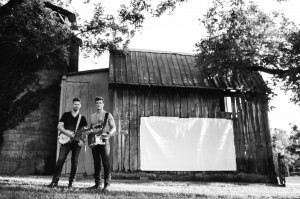 And the huge success of High Valley’s recent chart-topping album, County Line, makes it all worthwhile. To Brad, lead singer of High Valley, home means spending time on the porch with mom and dad and catching up on how the family farm is doing. It means eating out at the local diner, waving to friends out the truck window, and driving by the general store where he and his wife bought a taco kit for dinner on their first date. It means cranking country on the stereo and finalizing arrangements for the hometown concert scheduled for the following Friday night. Just like the characters in the hit television show, Brad spent much of his time writing songs on Music Row and is especially proud of the single, “I Remember You”, which he wrote for Trisha Yearwood, produced by Garth Brooks. Once a year, Brad and Curtis fly out “Board of Directors” fan club members and occasional contest winners for the Nashville experience. A video of one special weekend is posted on High Valley’s YouTube channel. “We take them to shows and out to dinner, and spend time getting to know them.” There are many other bonuses their fan club members can access on their website. High Valley’s multiple JUNO and CCMA award nominations are evidence of their dedication and reward for their 18 years on the road, opening for country greats like Alan Jackson and Shania Twain. But now after touring and performing and receiving media attention for the new album and award nominations, it’s the perfect time to celebrate back home with friends and family. The members of High Valley haven’t exactly grown up in the limelight. Brad and Curtis come from a large family, raised by parents who were born in Mexico in a Mennonite community without electricity or modern conveniences. Music was their entertainment, and is still important to the farming family. “Mennonite kids know how to sing,” said Brad, “—that’s just part of the deal. Our three older sisters taught us; they are a lot better at harmony than we are. Mom sings and plays guitar and Dad plays and sings.” Even the band’s name has humble beginnings. “My brothers and cousins and I used our imaginations a lot as kids to create our own fun. We recorded radio shows on my cassette player, and I reported the news and sports and introduced the next song about to play, and the band was always called High Valley. My cousin had a band called The Dry River Boys and I guess I thought an oxymoron was the way to go,” Brad laughed. “Everything High Valley does is rooted in Faith, Family and Farming,” Brad asserted. The brothers feel it is important to contribute to the world in a positive way and their visit to Burundi, Africa last year is evidence of their commitment to their values. Healthy, adequate food sources for the children of the world is something the brothers are concerned about and the band supports Food for the Hungry, a child sponsorship non-profit organization. High Valley’s website has a link where you can view the photos of the children, sponsor a child and help transform a community. “We also participated in breaking a world record!” Brad said proudly. High Valley held a contest for two fans to join them in Saskatoon, Saskatchewan to ride a combine harvester with Brad and Curtis during a fund raising event and attempt to break a Guinness World Record. “We harvested 320 acres in 10 minutes with 250 combines. Harvest for Kids raised around $300,000 and was able to send thousands of kids in India to camp. Curtis and I traveled there to perform for them and the people weren’t really sure who we were. They kept thanking us and called us ‘movie stars from America’,” he chuckled. The Rempel brothers are focused on the future and continuing on their country music journey and, like their own lyrics state, they’re “Homegrown and keepin’ it real!” They have more fame ahead and a lot of hard work behind them, and they remain connected to their agriculture roots by helping to raise awareness and contribute to feeding the world’s hungry. *At the time of writing, High Valley was nominated for Album of the Year, Group of the Year, and Interactive Group of the Year by the Canadian Country Music Association. They recently won the award for Group of the Year at the 2015 awards ceremony – Congratulations!